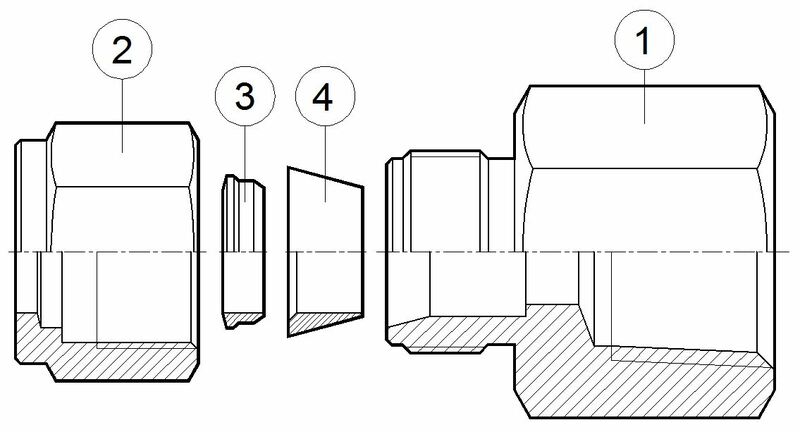 The CHR two-ferrule compressing fittings are used to assemble a threaded end to a metric or fractional tube. The resulting union is completely hermetic, both for high pressure and high temperatures. Hard fastening and union without twisting. Metric tube from 6mm to 12mm. Fractional tube from 1/4" to 3/4". Threaded NPT ends according to ANSI B1.20.1. 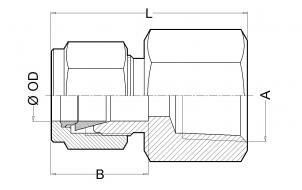 Threaded BSP ends according to DIN ISO 228-1.